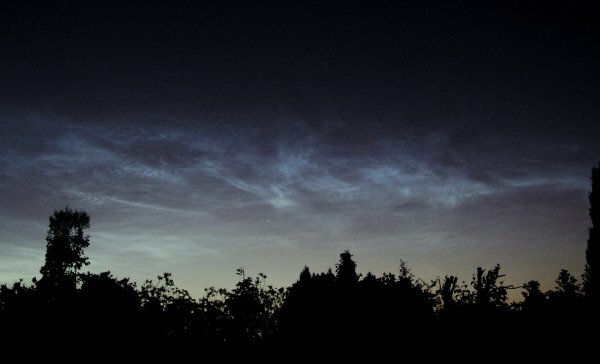 I stepped outside at 02:00 UT and witnessed a great display of noctilucent clouds - the best I have ever seen! The crescent Moon also made an appearance. Thank you Moon! 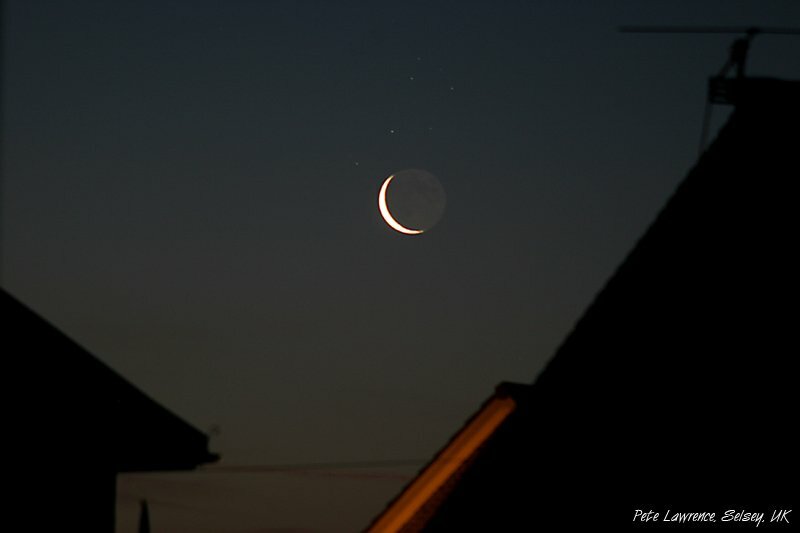 After a long night's observing, I remembered that the crescent Moon was about to rise quite close to Venus. My house blocks my normal view to the north at night and so I had to wander around to its front to see the Moon. 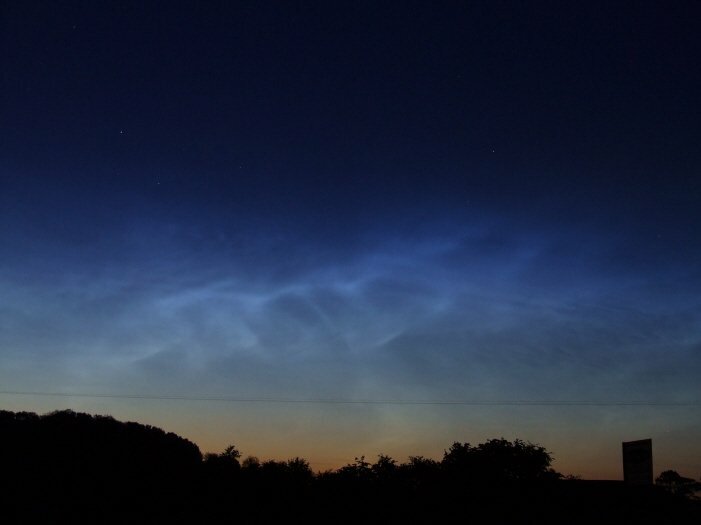 As I did so I was greeted by a brilliant electric blue NLC display, the brightest I've seen. 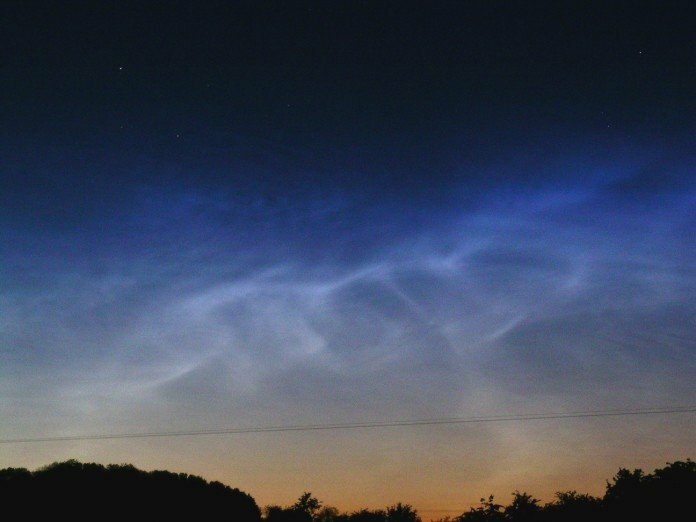 On the evening of 21 june 2006 there was a nice show of Noctilucent Clouds, visible from the Netherlands. 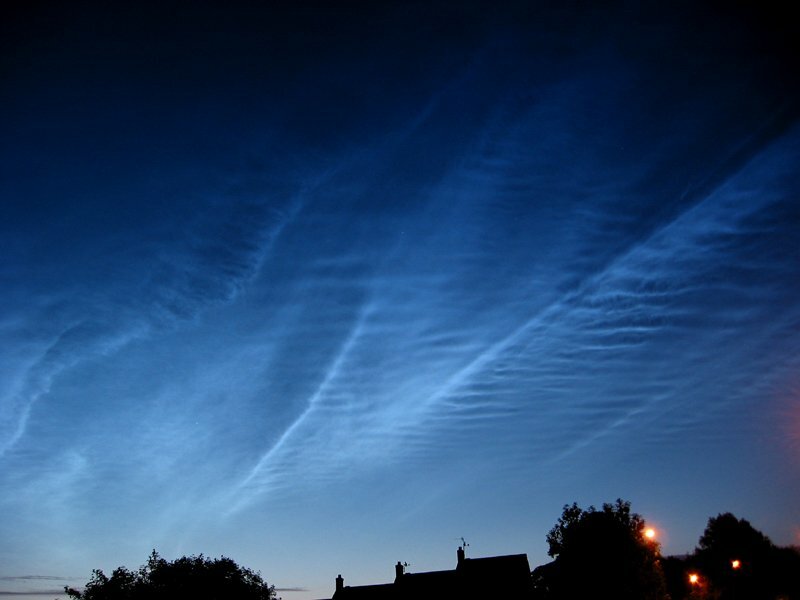 The fine structures of the NLC clouds are clearly visible. 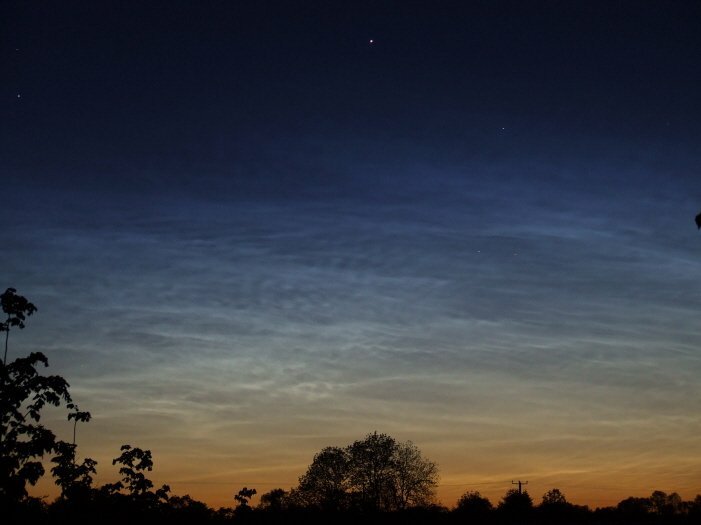 Photo details: Canon 10D, Canon EF 2.0/100 mm telelens. 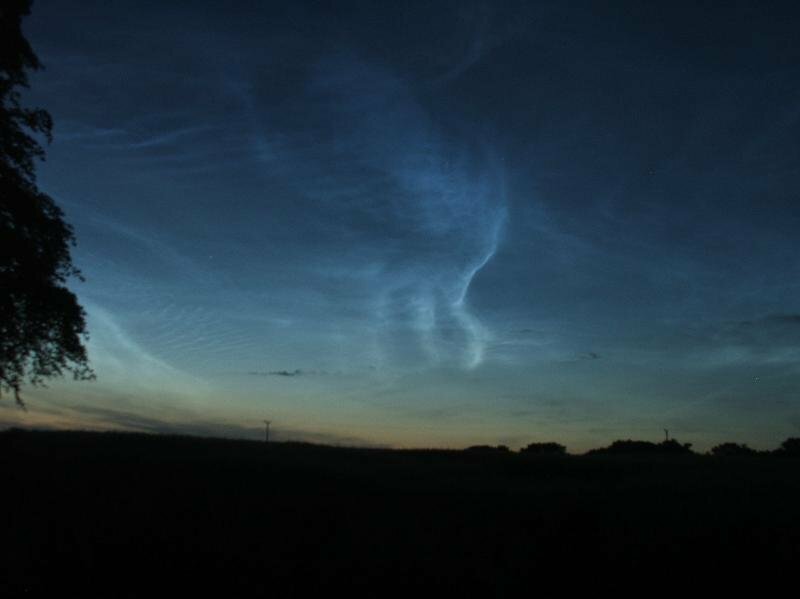 We were treated to a very nice display of noctilucent clouds on the evening of the summer solstice. 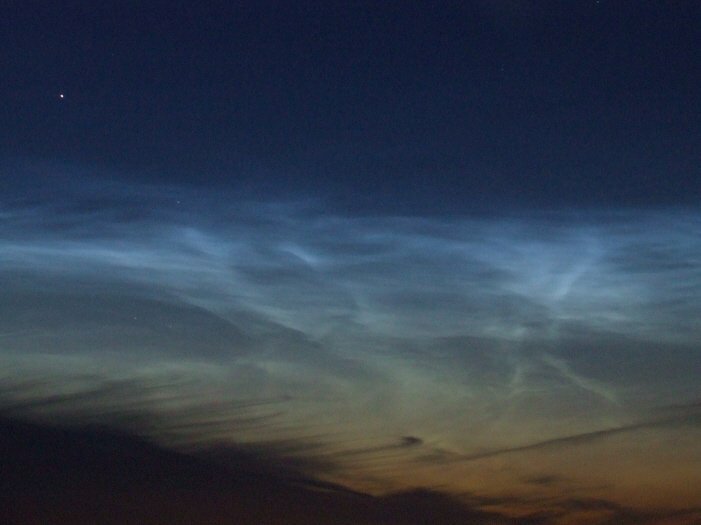 It was a bright display which lasted for about 40 minutes. 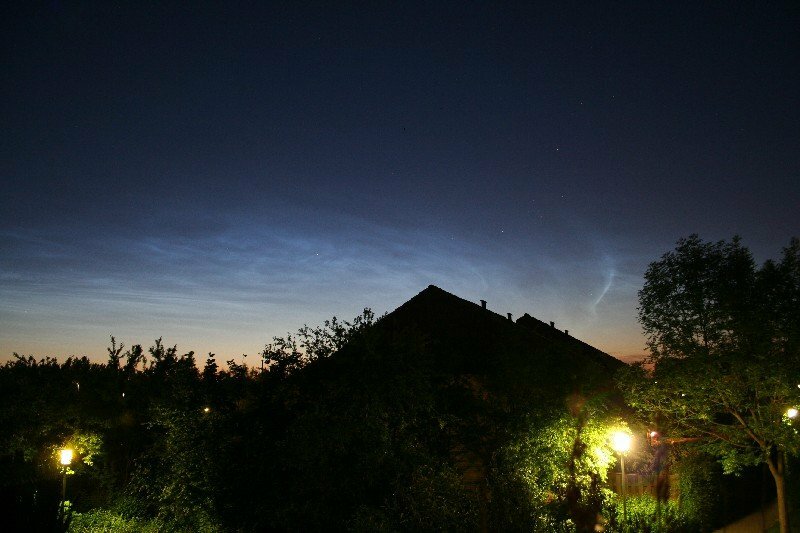 The clouds parted just in time here in Belgium! 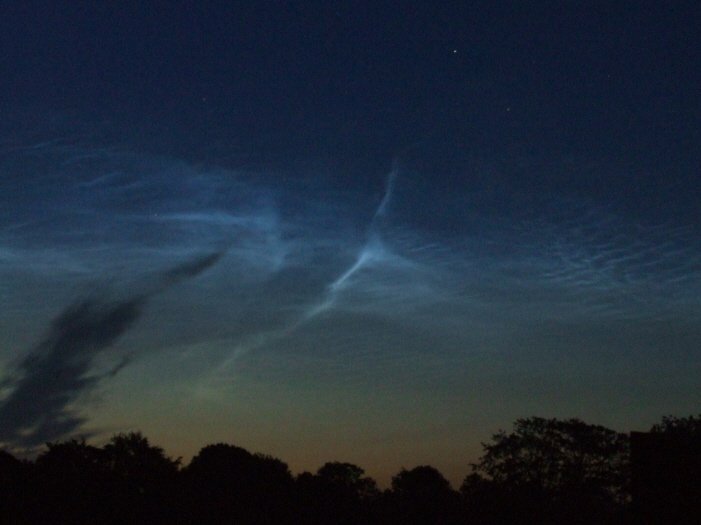 This noctilucent cloud display was possibly the brightest display seen from the South of England this year. 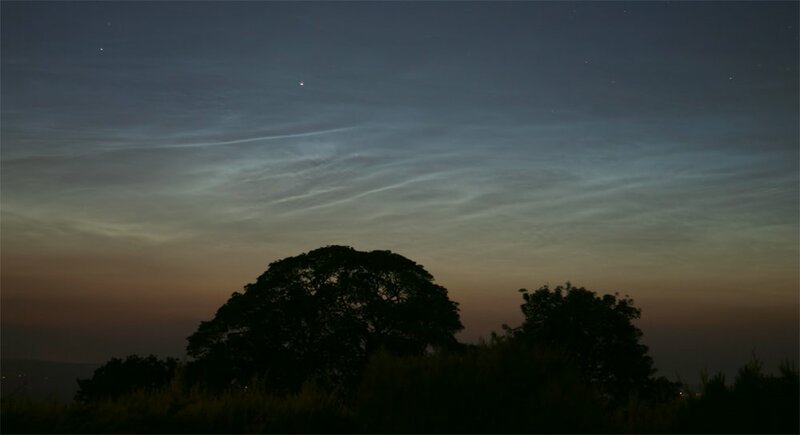 Although it didn't remain visible for long it was bright and easily visible with the naked eye. 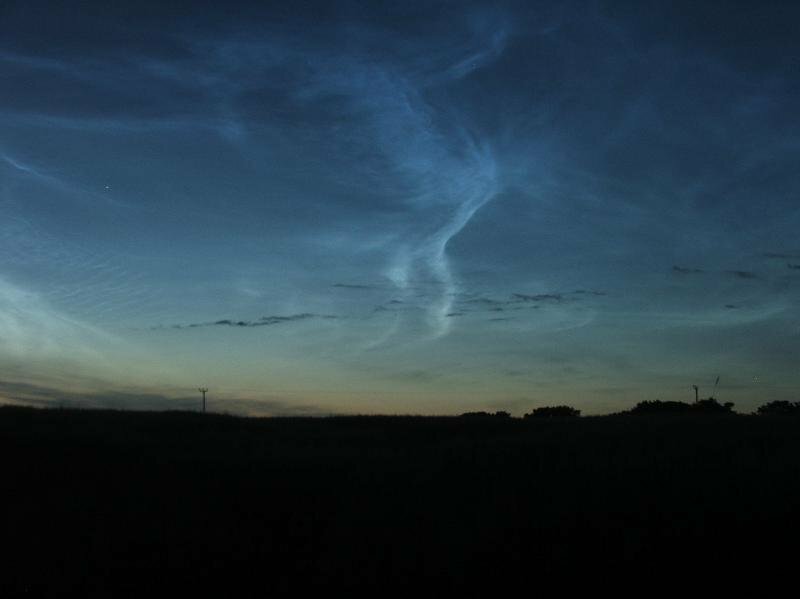 The first NLC's this year visible from Belgium and at once a nice display! Photo details: Canon 20D with 70-200mm f/2.8 - 0.5 and 1s exposures on ISO 800. 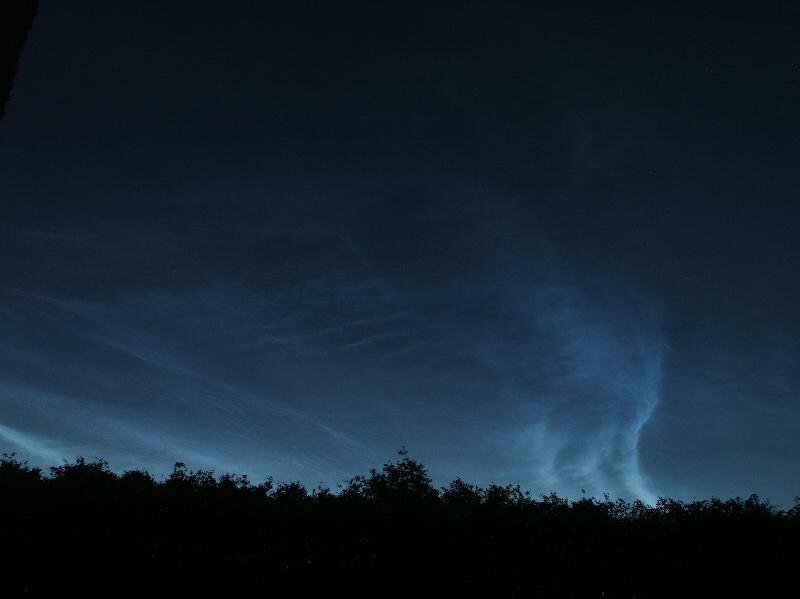 Noctilucent clouds are often seen here in summer but this was one of the best displays that we've seen. 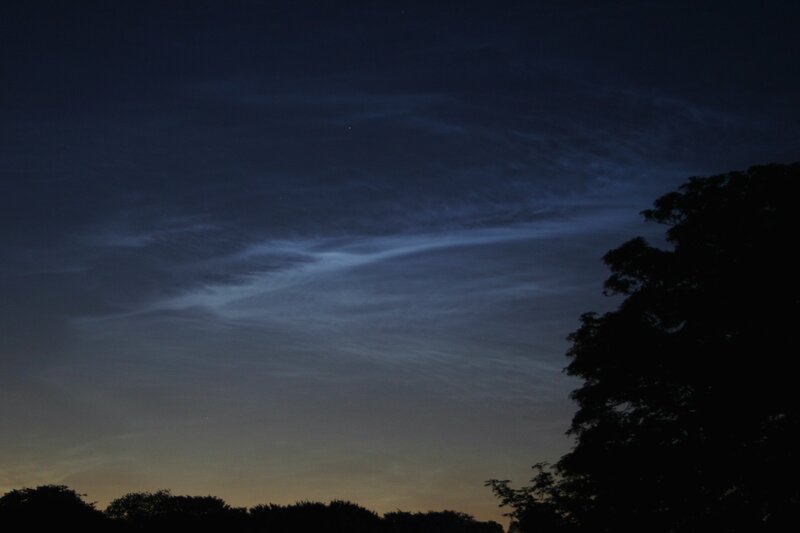 At the end of a short but nice observation night we were surprised by these beautiful NLC's. 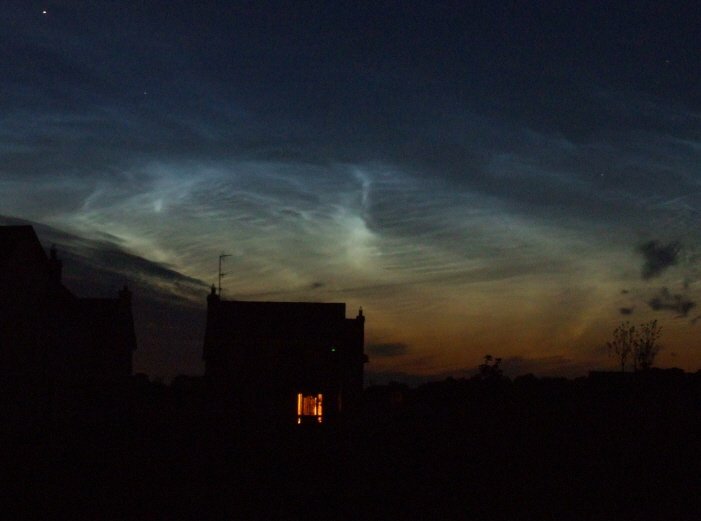 I was just retiring to bed when my wife Margaret noticed these NLC's through the windows ! 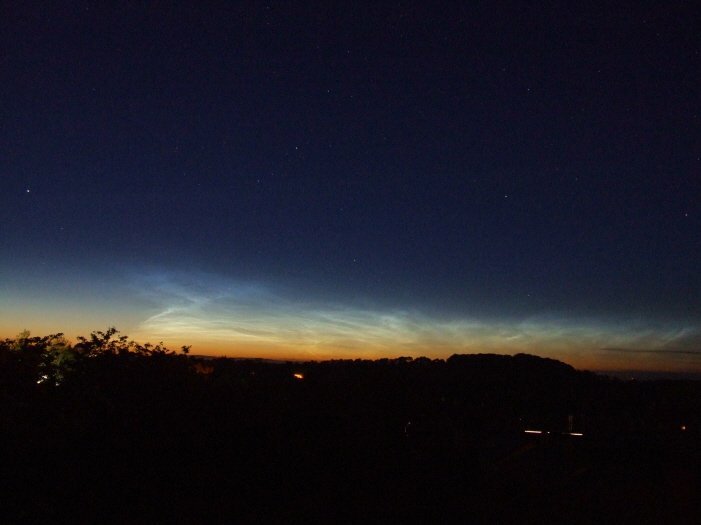 Tonights NLCs were visible from 2320 onwards, only an a bit over an hour after sundown. 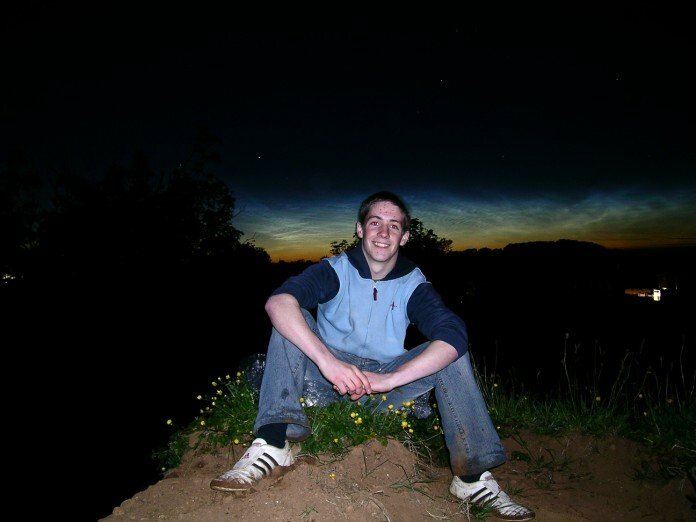 The display was over 90 degrees wide, over 30 degrees high as made obvious by the inclusion of Capella in the shot. 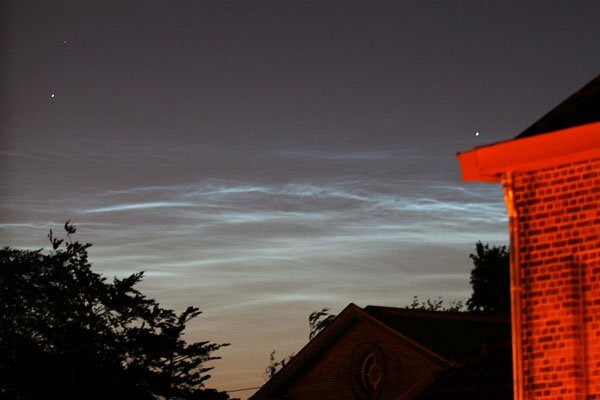 Wow, what a spooky NLC display!! 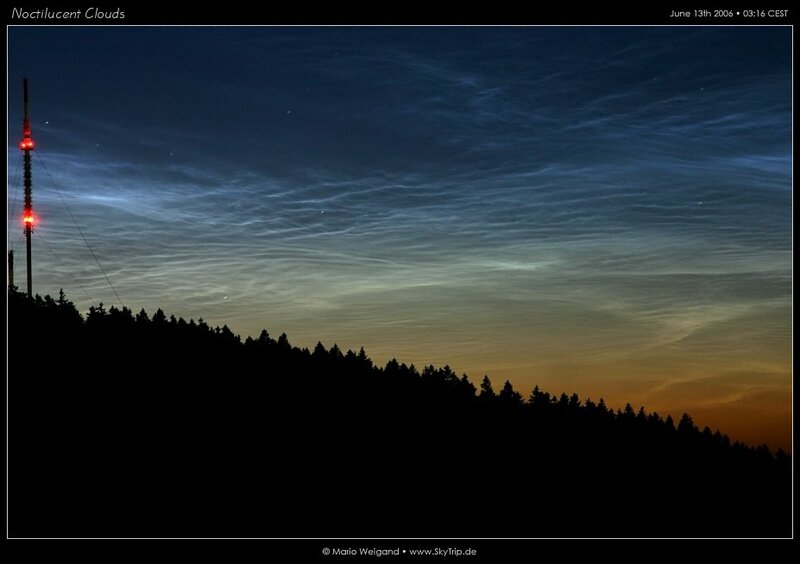 I have never seen anything like it before in my life! 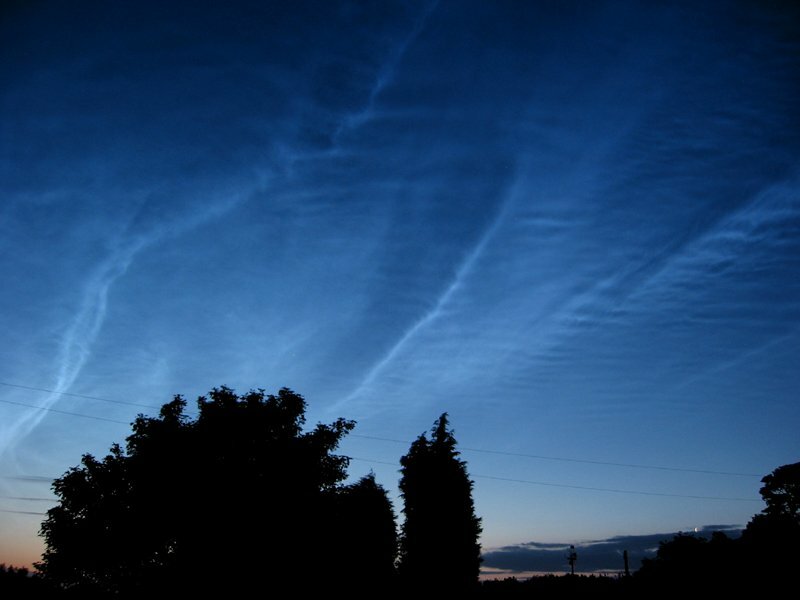 This is my first sighting of these beautiful clouds. Well worth the wait! 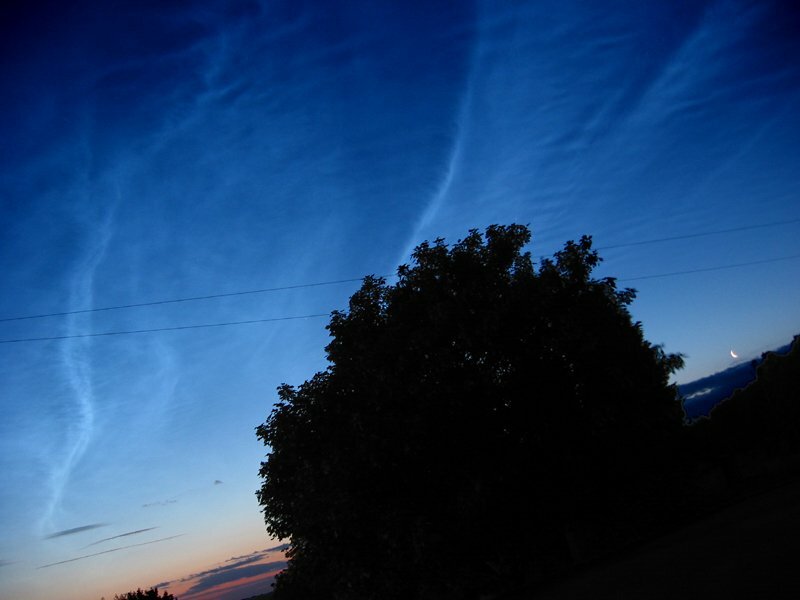 Photo details: Canon EOS 300D, 18-55 mm zoom lens, 3.2 secs, f/5, ISO 200. 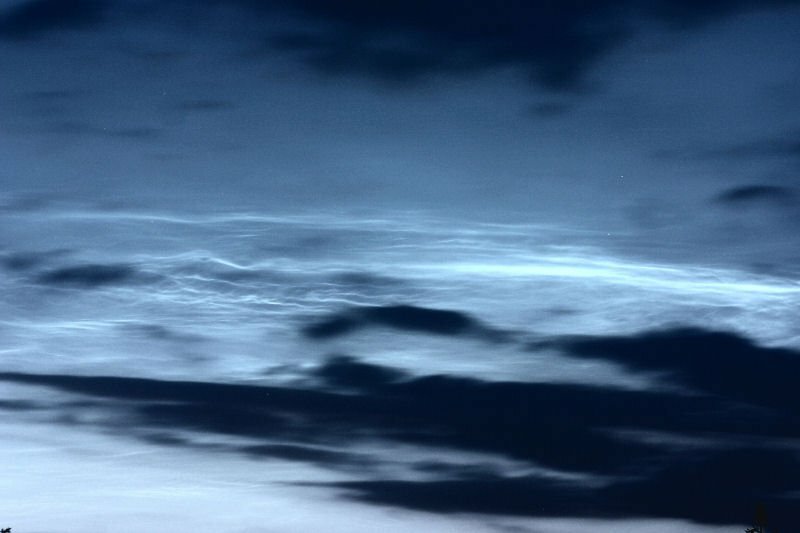 The first noctilucent clouds visible from Denmark this year! Photo details: Canon EOS 350D digital camera on auto exposure. This display was very big. Measuring over 90deg long and 15-20deg high! 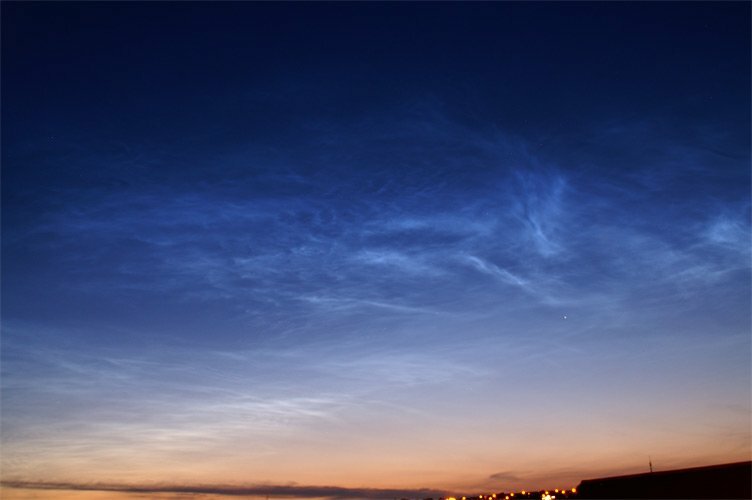 It is a sign for bigger things to come so be alert! We had a wonderful display. 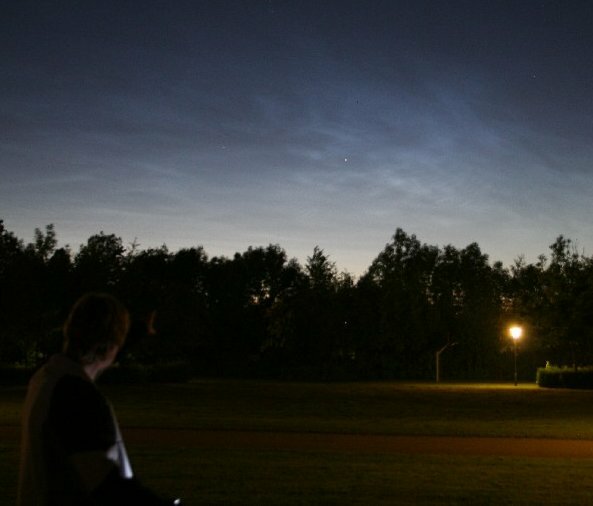 Only the previous day I had received an e-mail reminder that the NLC season was upon us from a member of my astronomical society. 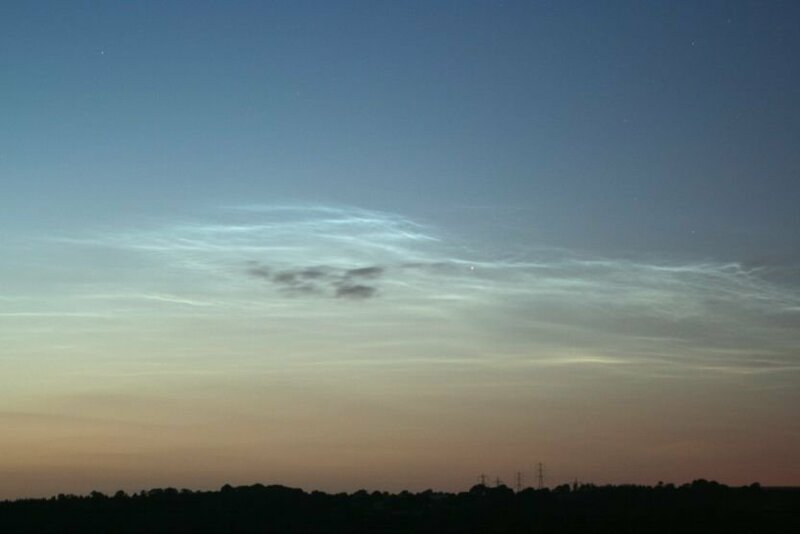 It really suprised him that we had this display only a few hours later. 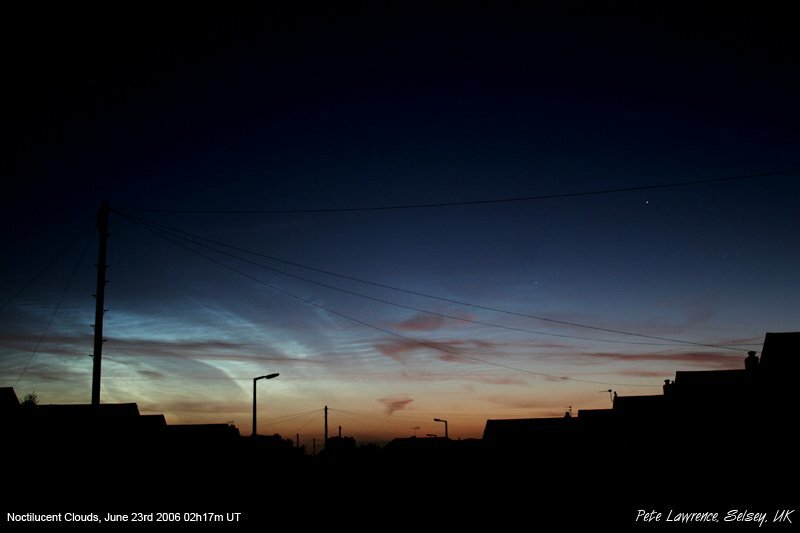 Photo details: Canon 10D, 30 seconds at f/5.6 ISO 100. 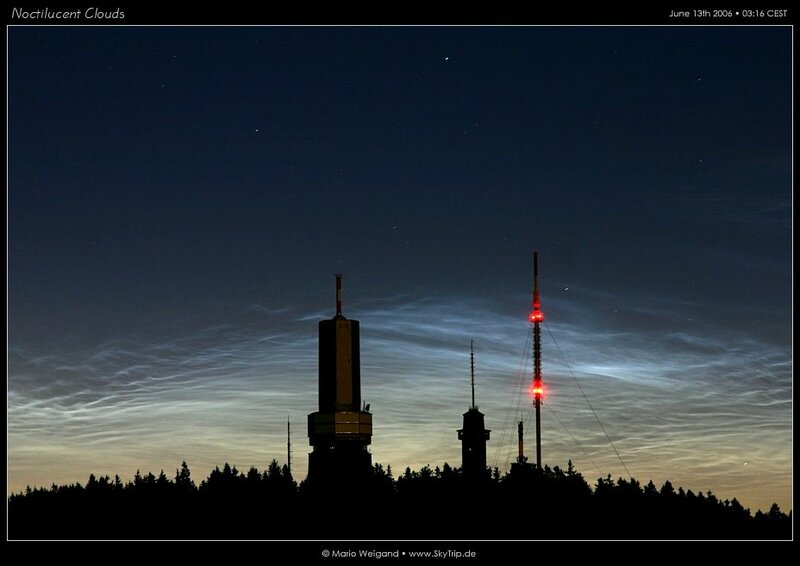 Best NLC display I have ever seen in my life. At its height the star 'Capella' was completley washed out by the glowing white Veils.